You may not realize but locating quality made custom ribbon medals and award medals is actually much easier than you think. So what exactly are customized medals and where might you get such awards you ask? A way to not only show appreciation, but also a distinctive means to award individuals, medals allow one to easily design a medal utilizing an existing logo or artwork. The best part these medals can be produced in a very timely manner. It usually takes around two weeks to create and deliver an order. 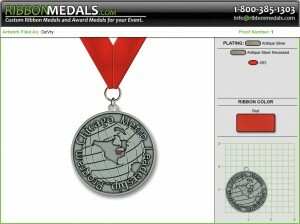 RibbonMedals.com offers one of the best selections around when it comes to customized award products. They have a team which is filled with some of the most talented designers in the industry and some of the brightest consultants around. Their goal is to assist customers in creating a custom award medal they can be proud of. One of the best aspects of taking advantage of our great service is we can mold a medal into any size or shape. We also deliver continuous design modifications until a customer is satisfied with the product. Then it’s on to production where the medial is created, with a mixture of some of the best materials around and a little TLC. There would be no better surprise then to give a little league football team custom medals shaped like a football. Or how about little baseball medals for the local softball team? The fun doesn’t stop at sports either. How about awarding the top science project winner in your school with a medal shaped like a microscope? Basically, your options are limitless when it comes to deciding on what shape to mold your pieces in. Personalized ribbon and award medals can also be used in a variety of marketing events. From sporting events to civic events to graduation ceremonies and more, the possibilities are limitless when it comes to the potential of adding them to an event schedule. 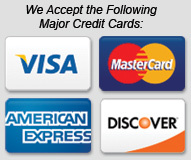 Even better is the fact that designing and ordering custom medals from us is actually more affordable then most realize. Think about it… You could host one of the largest fund raisers around and give attendees a custom ribbon medal for being a part of it. Something like this can go a long way in helping those attending the fund raiser feel like they’re a part of something special. Or how about hosting an end of the season athletic program for a sport’s team your involved with. You could award the players for their achievements with some truly unique awards. Award medals are more than just standard issue recognition pieces. Take a great sporting event for example. The top athletes will generally receive a medal of some sort. In the Olympics, the top athletes are awarded bronze, silver and gold medals. In the military, there are a number of ribbons and awards offered to troops. They can be awarded for a variety of factors. Custom medals are also commonly presented to students in schools. Who doesn’t remember wanting to win the school spelling bee medal. Or how about the presidential physical fitness award in gym class. With that said, schools can also take advantage of creating their own at a reasonable price. When it comes down to it, custom ribbon and award medals are excellent tools which help individuals feel better about themselves. When they receive them, they’re being rewarded for an achievement of some sort. This can be a significant event for many and having a memento to remember it by is priceless. After a custom medal order has been completed, our team will quickly expedite your order to ensure you’re receiving as soon as possible. We takes great pride in offering some of the best customer service around! Our staff is ready and willing to work with any customer to ensure the product they’re getting is nothing less than 100 percent when it comes to quality and value. Whether you’re hosting a marketing event, need a custom shaped medal or a specialized event medal, RibbonMedals.com can deliver. Every one likes to receive recognition for our achievements. We can get accolades for doing well at work, running a marathon, volunteering, helping others, excelling in academia and countless other ways. The form of the accolades can vary as much as the reason for the accolade. One of the most commonly used methods for commending an individual or group is a medal of honor. It is many children’s (and adults) dream to win blue ribbon medals. The blue ribbon has always symbolized the ultimate achievement for any competition. Whether it was for raising the best lamb or for baking the best apple pie. You had to be the best to gain such an honor. The respect that could come from such a seemingly small item expresses how custom medals are very significant representations of achievements. Award medals are not limited to the simple ribbon medals. Depending upon the occasion there can be any number of custom medals that are created for individual circumstances. It is common that at the end of a sporting event that an alloy medal (gold, silver, bronze or any other metallic material) would be presented to finishers. These custom medals are trophies to prove an individual’s performance. Custom medals are also memory keepers in that they provide substantial memorabilia for one’s achievements. Our accomplishments can be awarded by receiving the acclaim of others and in the physical presentation of an award medal. The action of receiving a physical representation of recognition of our significant feat makes the appreciation of others more noticeable. The impact of being called out for deeds can make the desire to continue to improve and make differences soar. It can also drive others to try to achieve more when they see the acclaim that awards attain. Custom award medals are amazing tools for making people feel that they are being noticed for their achievements and improvements. Awards are versatile in that they can cover a broad spectrum needs. They can be created for large groups (like race events) or for significant individuals (like scholarships). Our desire to strive for improvement can be heightened by our desire for positive attention. Award ribbons are excellent methods for expressing appreciation to driven groups and individuals. The honor that accompanies the attainment of a medal always outlasts the medal itself. However, the medal always represents that feeling of honor and acceptance. The tangible item that always carries such positive energy is a wonderful expression of appreciation from others. We cannot help but feel pleased to be called out and handed items that express the regard of others. Award medals are ideal carriers of such expressions of achievement. Ribbon medals and awards are excellent items for any occasion to show appreciation.